I had a dilemma. There was this standing invite from the Poor Italian rolling out their new menu on a Sunday afternoon. What's the big deal you ask? Well, it would be a few hours after morning hockey! So really, what's the issue here? I would starve for 2 hours before the tasting! Therefore, I had no choice. I had to go eat lunch despite needing to eat immediately after. Hey, if Mijune can do it, why can't I? Oh right, I'd become the second coming of the Michelin Man. Apparently, my metabolism doesn't even come close to hers. Well, I didn't really want to think of the consequences, rather, I just needed nourishment. Therefore, not only did I need something light, it needed to be fast (since I didn't want to be late for the tasting). 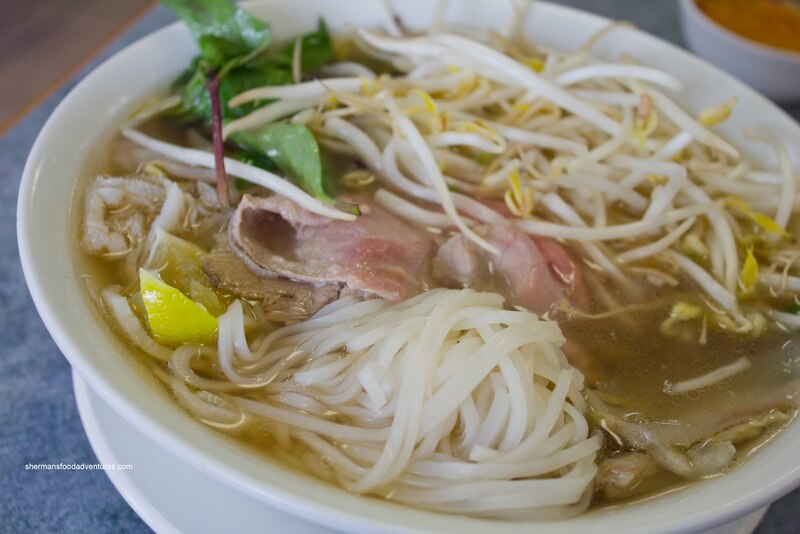 Again, a Pho joint came to the rescue. 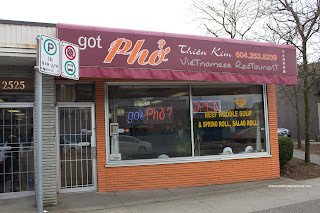 In fact, the place is mostly known for its "got Pho?" moniker (real name is Thien Kim). Joining me were Milhouse and JuJu, who are always in search for nourishment, which benefits me greatly! As such, we got 3 appies to share starting with the Fried Chicken Wings. These could've passed for ones from Church's as they were completely covered with batter. Nothing particularly wrong with them since they were crisp and juicy. 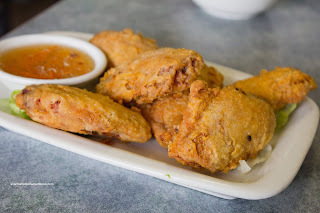 It just didn't look like wings I've seen at most other Vietnamese joints. It was served with a sweet chili fish sauce. On the other hand, the Spring Rolls looked familiar and legit (with the use of rice flour wrappers). In fact, these were very good with a moist and flavourful filling (and more fish sauce). The outside was very crispy and not that greasy. 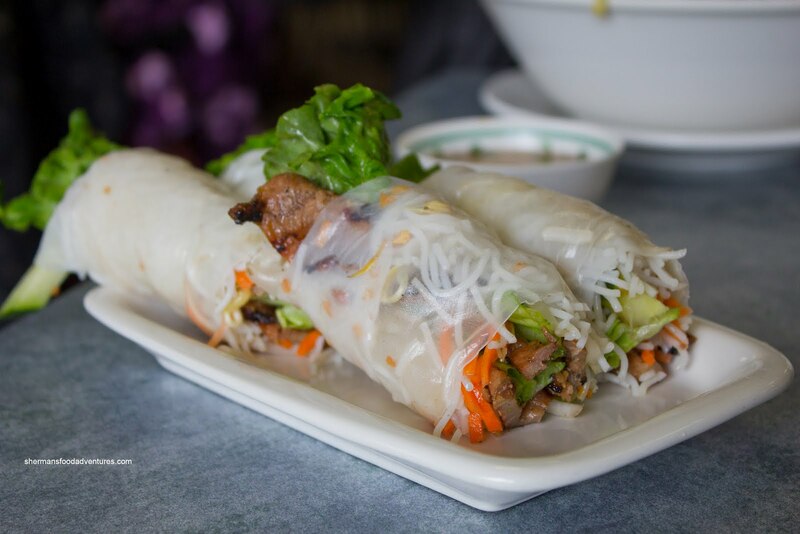 These were good, yet the Grilled Pork Salad Rolls were even better. Despite being rolled haphazardly and really loose, the rolls were delicious. The grilled pork had a nice char while still being moist. 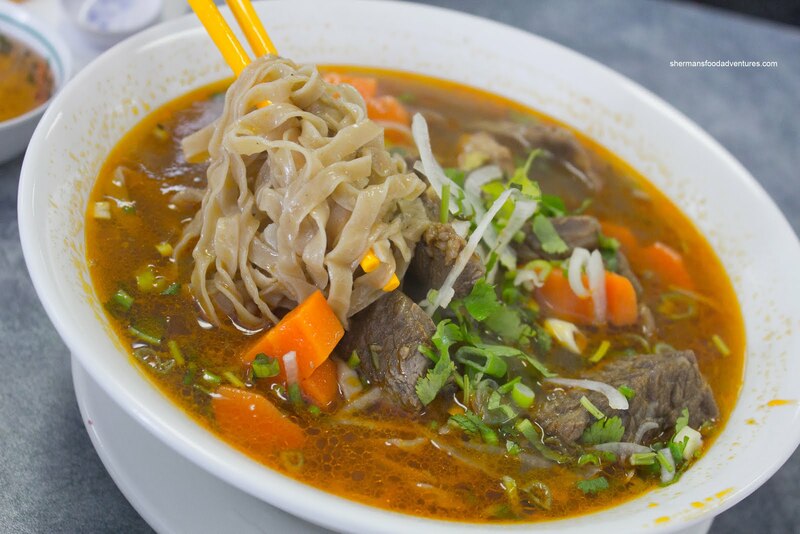 It had really good flavour which was accented by the soft rice noodles and crunchy veggies. The rice flour wrapper was perfect with a nice elasticity. Onto the mains, JuJu had the Beef Stew with Egg Noodles. I gave it a try and the soup was rich and fragrant. We suspected a good amount of MSG was used. The beef was both plentiful and tender while the egg noodles were al dente. JuJu seemed to enjoy his bowl of noodles while sweating up a storm. 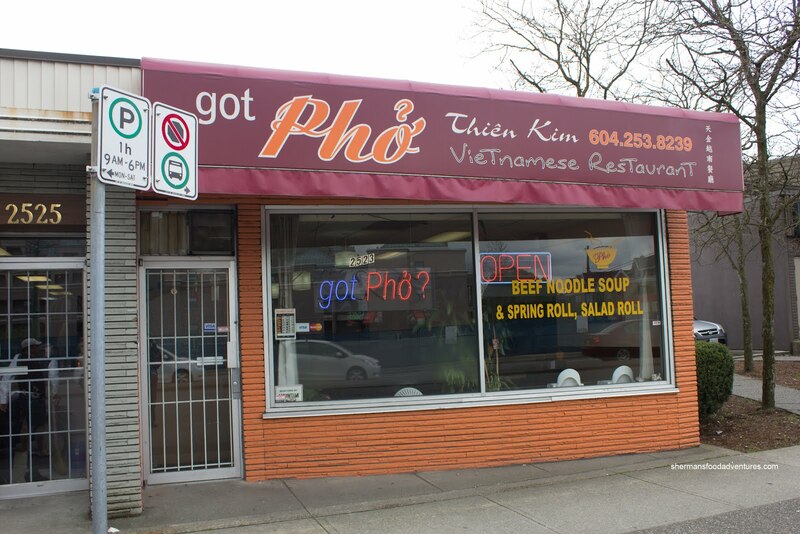 For myself, I went for the standard being the Pho Dac Biet or everything but the kitchen sink Pho. Again, the broth seemed to be flavourful in an MSG type-of-way. Hey, it wasn't necessarily a bad thing as the broth was tasty. It was more on the sweet side though. I found the portion size to be quite good with plenty of meats. The meats were tender and the noodles were al dente. Nothing much to complain about, in fact, I enjoyed every bite. Mihouse decided against getting any soup noodles to my utter joy. Why? More variety! 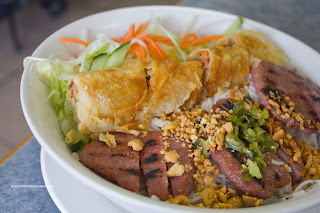 He opted for Minced Pork and Spring Roll Vermicelli Bowl. Much like our order of spring rolls, his was just as good. 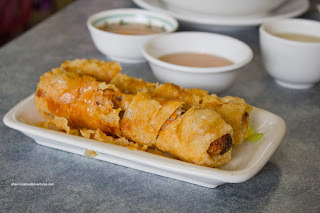 Admittedly, there was an ordering snafu since we doubled-up on the spring roll! As for the rest of the stuff, it was pretty standard with the "ham" being a bit salty. Originally, I wanted to have a "less-filling" meal so I'd have room for the sampling at the Poor Italian. But in the end, the food was pretty good at Thien Kim and I couldn't help myself. Not only did I finish my entire large bowl of Pho, I had my fair share of the spring rolls, salad rolls and chicken wings. Yes, I really did channel my inner-Mijune. Well, the fact that the food was above-average didn't hurt either. LOL!!! I randomly fell upon this post while looking for a restaurant near Italian Cultural Centre and I see my name! Awesome. Been too long Sherman. Meet up soon.